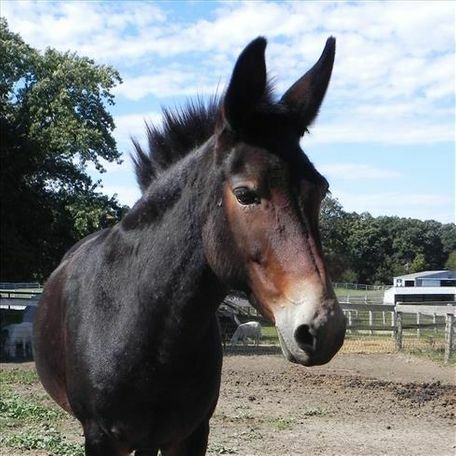 Sugar Rae is a female mule that came to HAHS through an ASPCA rescue. 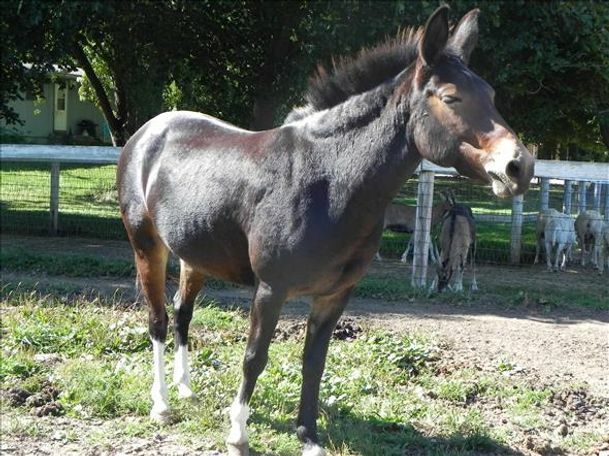 Sugar Rae is a stunning mule with a lot of potential as a riding or driving horse. 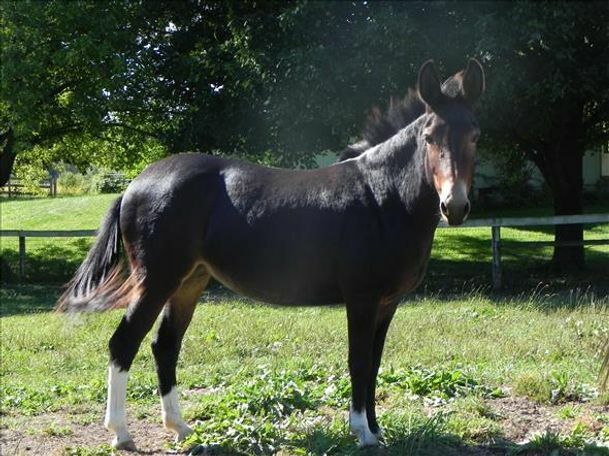 Sugar Rae is curious and friendly, but is nervous about being caught and is difficult to handle for the vet and farrier. 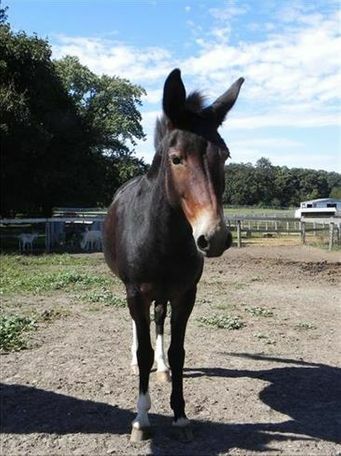 Sugar Rae would need a person experienced with working with mules to continue her training. She stands around 13 hands tall. Sugar Rae is currently pastured in Kentucky.